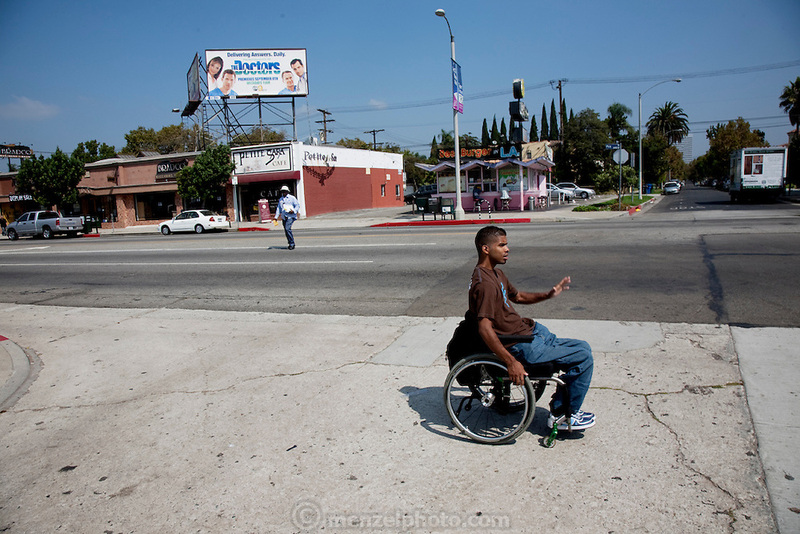 Felipe Adams, a 30-year-old Iraq war veteran who was paralyzed by a sniper's bullet in Baghdad, goes for lunch at his favorite neighborhood café, Petite Sara, across busy West Pico Boulevard in Inglewood, California. (From the book What I Eat: Around the World in 80 Diets.) The caloric value of his day's worth of food on a day in the month of September was 2100 kcals. He is 30; 5'10" and 135 pounds. MODEL RELEASED.